Plug & Sense! Radiation Control is designed to measure the radioactivity levels. 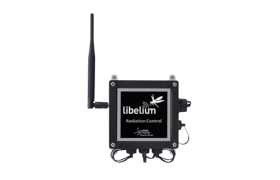 It includes a Geiger sensor which detects gamma and beta particles.